RARE FIND! LOCATION LOCATION. almost an acre lot. 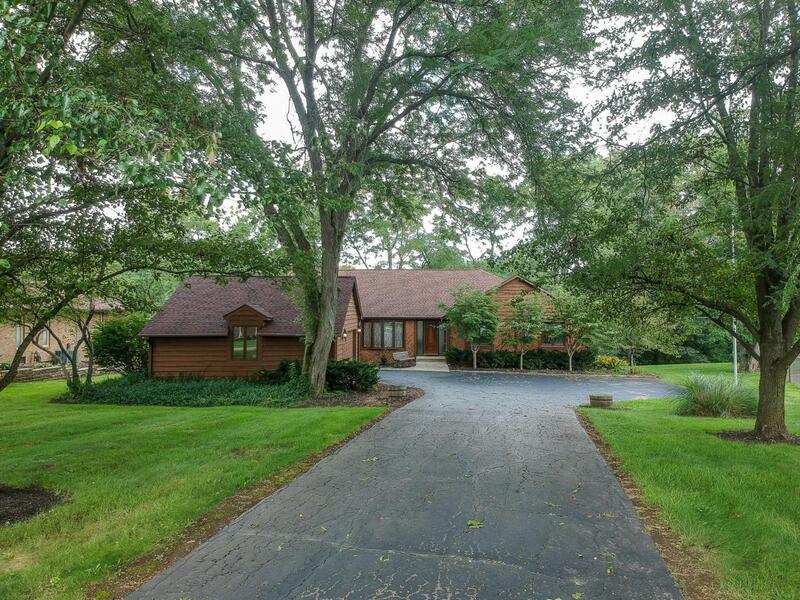 Spacious custom built ranch on private lake of the Olde Orchard Sub with walk out basement. Large entry way to living and family room with water view. 2 fireplaces, 1st floor laundry, lg master bath. Side load garage. Partially finished giant full basement with rough in full bath. Kitchen with Hickory cabinets, stainless steel appliance. Updates roof and mechanical. Air purifier, deck overlooking the water, lots of matured trees. Needs some updating but solid & well care for home.